The numbers for these Steve Madden sandals are looking good: They ring in at just $70, are available in four colors, and boast an average rating of 4.5 out of five stars. Still not convinced? Allow us to explain. 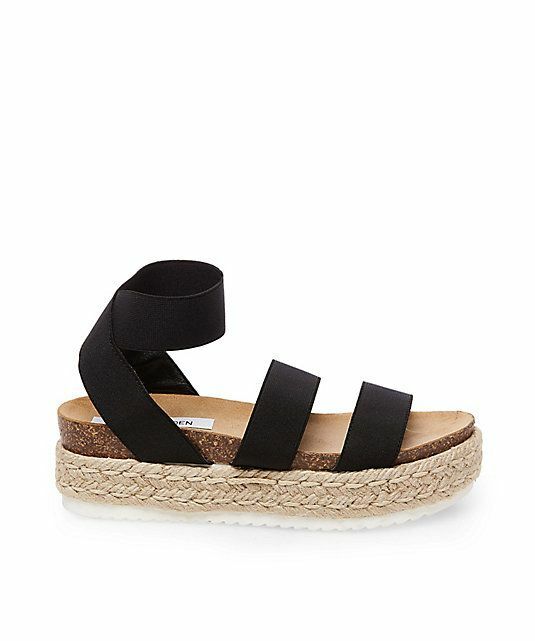 Steve Madden's Kimmie Sandals ($70) are currently on the brand's best seller list, with 20 of the 30 reviews giving them five stars. Specifically, almost all the reviews cite the shoes' comfort as being a major factor. "I'm very picky when it comes to sandals since I tend to stay in sneakers every day, but these sandals are amazing!" one reviewer wrote. "I bought these for a trip to California and not once did they hurt my feet." Another reviewer is similarly obsessed: "I love them so much I want them in every color! I'm complimented on them every time I wear them." If you're intrigued, scroll down to shop the shoes in three different shades.